"All inclusive" system: air conditioning and mosquito nets. Satellite TV 28/32 "with Sky pay-per-view. Gas stove. Electric stove. Microwave oven. Multifunctional food processor. Centrifuge. Toaster. Coffee machine. Fridge freezer. Iron. Phone. Grill. Water heater. Gas and electric stove. Vacuum cleaner. Dishes. Cleaning. Sheets and towels are changed weekly. Water. Gas. Power up to 300 kW of actual consumption (additional 0.40 Euro / KW). Large breezeway and covered terraces or on the roof sunbathing. The entrance gate and parking. Guardian and support 24 hours. International calls. Extra power. Programs Pay per View. Copier / Fax. Everything that is not expressly described. -: per object and day according to consumption (obligatory). - Intermediate cleaning: per object and day included in the price. 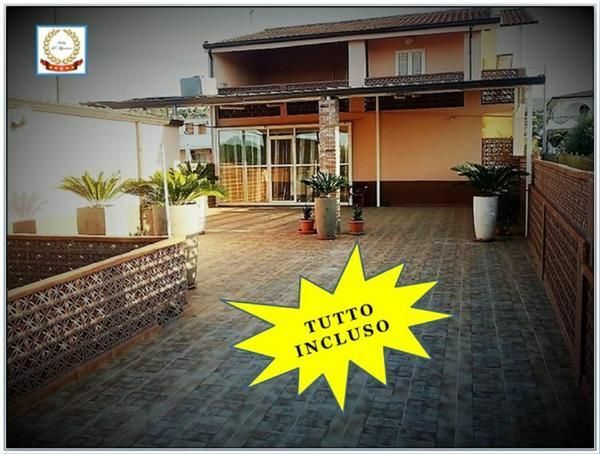 Additional bed (per property per day, included 0 EUR).